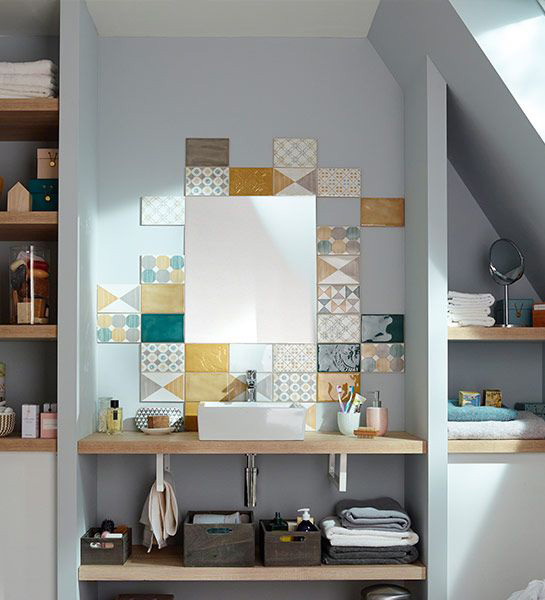 If you are bored with classic tiles or single color walls in your bathroom, the colored tiles are exactly what you’re looking for! 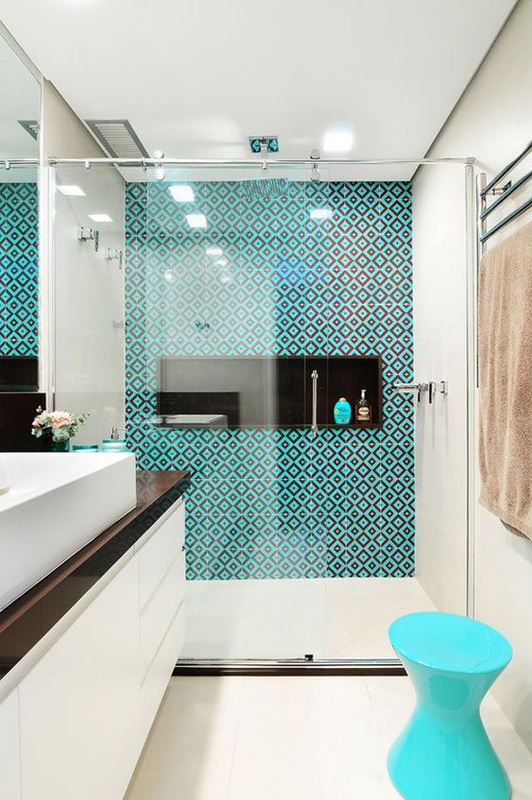 If you want to animate your bathroom and make it vitality, you should definitely look at decorative colorful bathroom tiles. 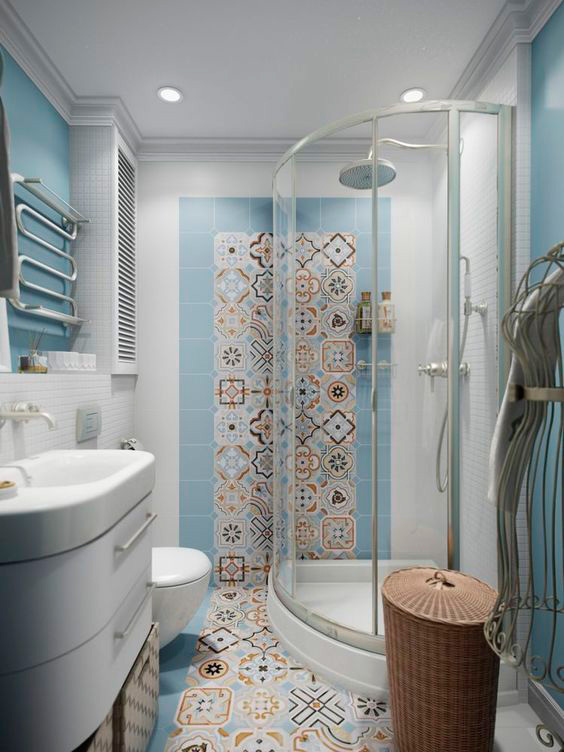 In recent years, you can redesign your bathroom with colourful tiles, which are trendy and attract all the attention in the bathrooms. Maybe the white tiles you’ve been using for years were the right choice for bathroom decoration. It helped the bathroom look more spacious and clean. But in time, white can become boring. Therefore, it can be necessary to colorize this area. 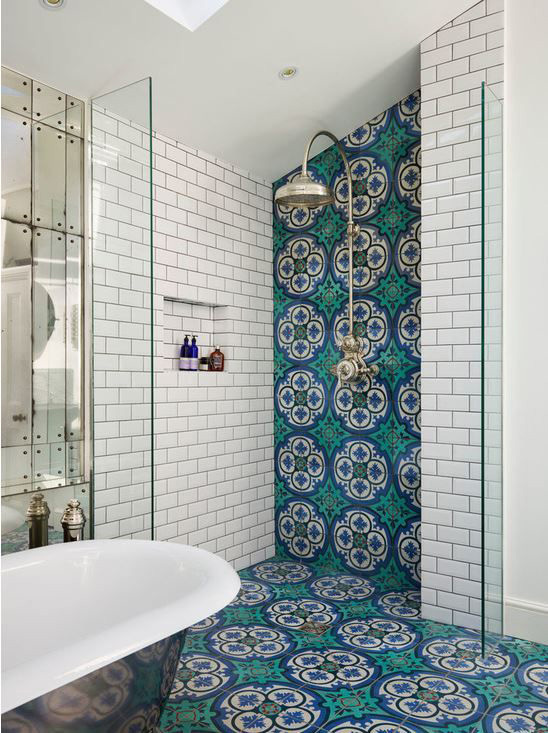 With colorful tiles you can easily design your dream bathroom. 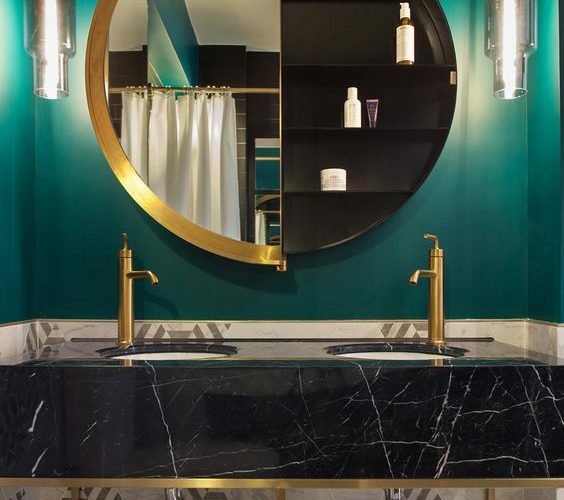 With beautiful and vibrant colors, you can take your bathroom out of the classical line and transform it into a moving and energizing environment. 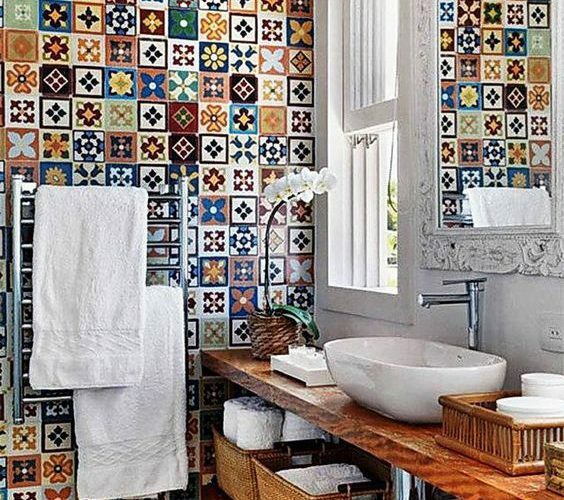 Thanks to the colorful tiles you can feel refreshed, not just your bathroom. The energy of colored tiles will impress you, make you feel more comfortable and vibrant. 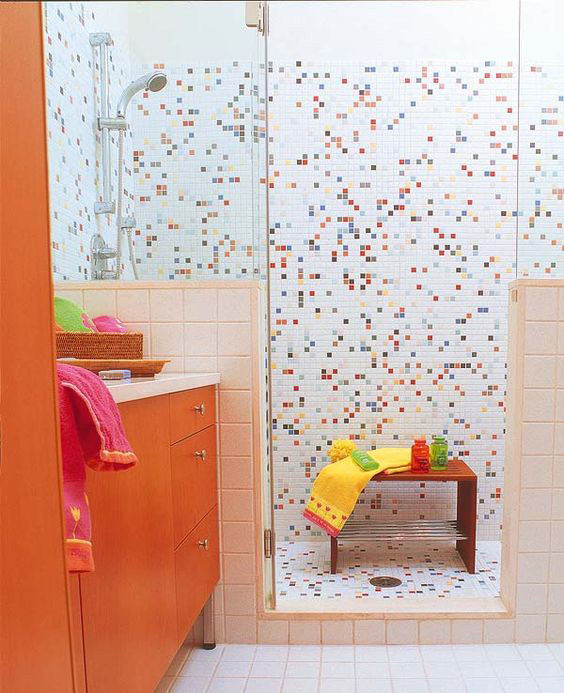 You can use these coloured tiles on the bathroom floor or on the bathroom walls as you like. 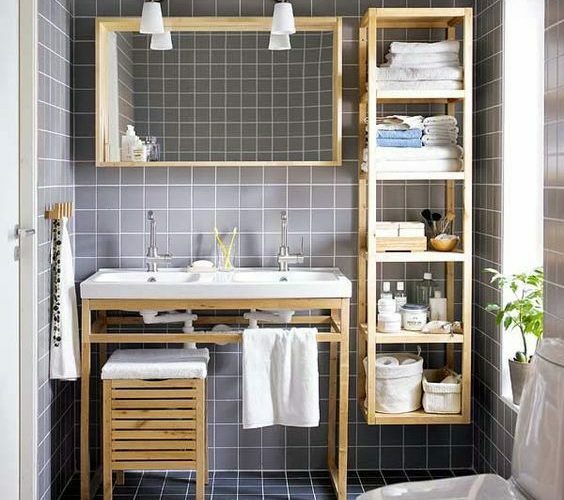 With tiles that have different sizes and different patterns, you can make impressive bathroom decorations and inspire. If you’re afraid to use so many colors in your bathroom, we can make a suggestion. 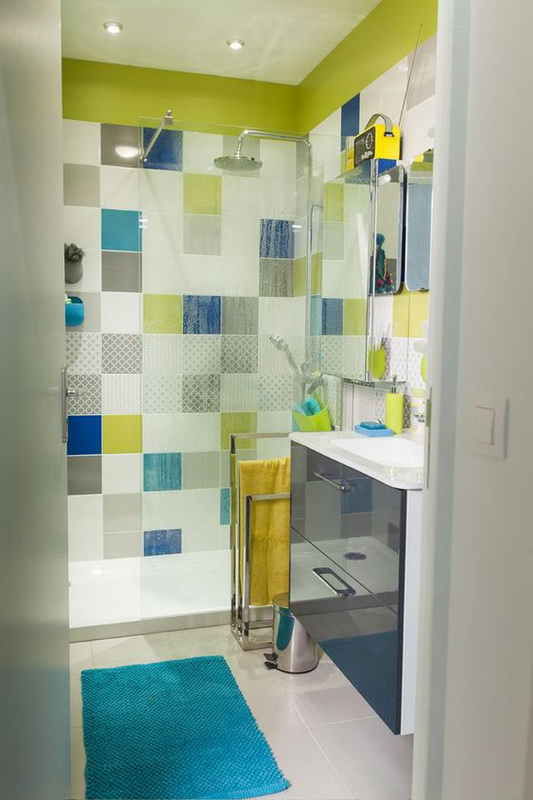 You can add move and energize your bathroom using the colored tiles on the shower section and on the floor. 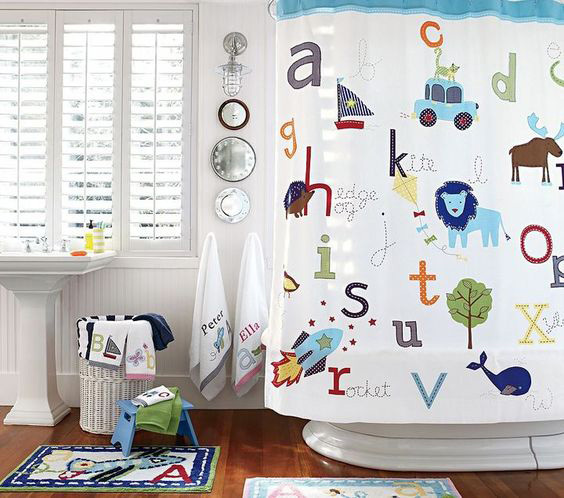 So you can make a simple yet colourful design in your bathroom. 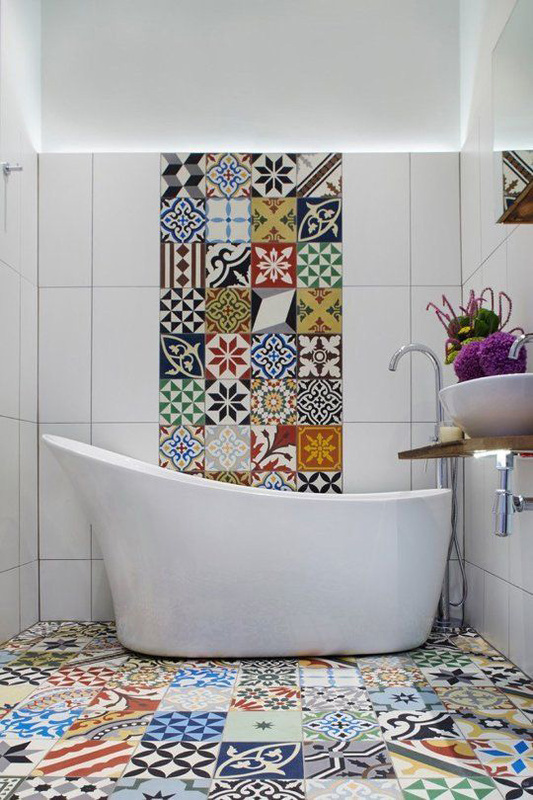 Apart from the modern and extraordinary style bathrooms, you should always use the patchwork patterned tiles in your bathroom, while the traditional style is your indispensable. 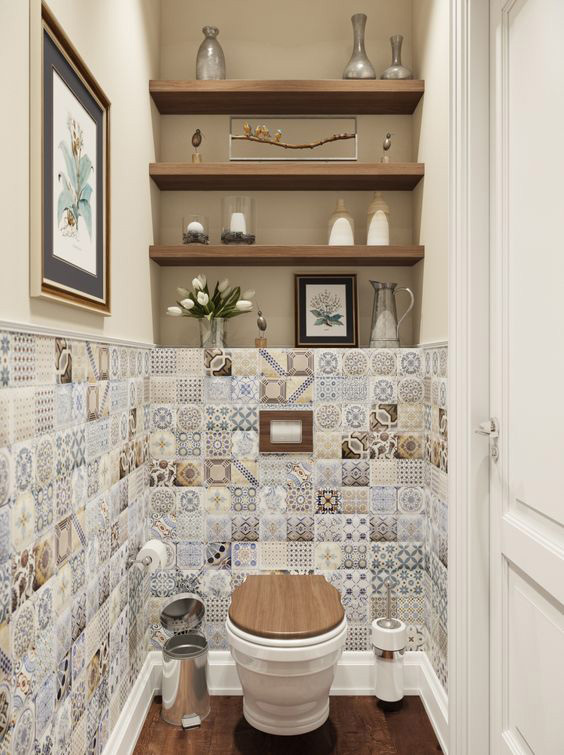 The patchwork and china patterned tiles, which are very popular last season and this season, also have a warm atmosphere as well as the chic.